Kye sewing her first seam! 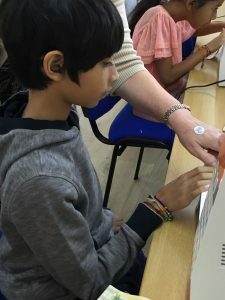 Shae sewing his first seam! 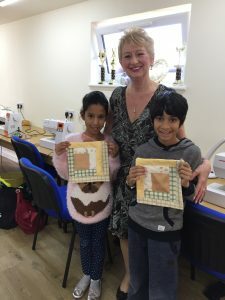 Nine year old Kye and ten year old Shae recently attended a morning sewing workshop supervised by mum Neeta, a regular attendee of our weekly classes. 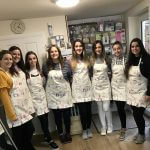 Read about their fun sewing day experience below. We made a ‘Hot Pot Mat’. 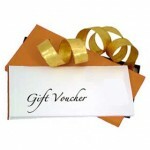 To start, Janet made us practice sewing straight lines, squares and swirls on paper. The lines were easy to do but the swirls were a lot more tricky, especially if your swirls are extra swirly. Once we had got the hang of it, it was time to start making the real thing. Janet made it easy for us because she had already cut out the pieces ready for us to get sewing. For our project we needed the fabric, the sewing machine and the iron. 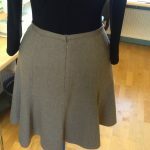 We started by sewing each piece in the right order and ironing the seams as we went. 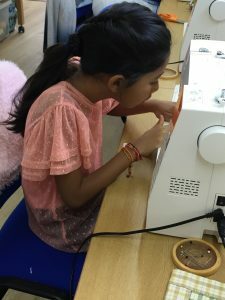 We really enjoyed all parts of completing our projects, but our particular favourite was using the sewing machine especially to decorate our work with fancy stitches. We also liked ironing our fabric. 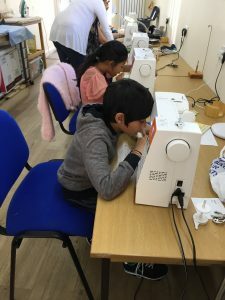 The new things we learnt was how to use an iron, how to use a sewing machine and sewing things in the correct order. 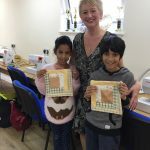 We would definitely recommend this sewing course to anyone who likes to try new things. Thanks Janet for a fun day! Would love to do it again. 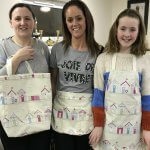 We are piloting a ‘mum and me ‘ sewing class during the November half term. 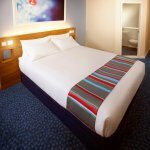 Please contact us to show your interest.